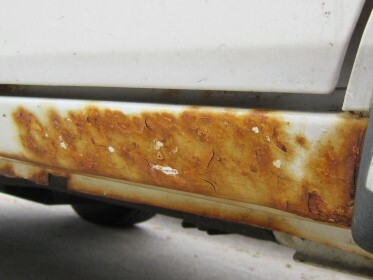 Anyone in Minnesota have a garage and some experience with body rust? I am looking for someone who would be willing to help me out with some rust I've got on a 98' XJ. I would be willing to pay $200 for the use of the garage and any help I can get. I would probably just cut out the rocker and replace it with some 2x6 Steel of something. Or if you can weld or fab, buy the replacement rockers off of ebay. just google jeep cherokee rocker and you will find them there. Your would cut your old ones out to the size of the new ones and then weld em on, or however you want to fasten them. Cant be that difficult. I have a garage in minnesota, but I live 2 hrs from your. This looks like surface rust to me. Is it necessary to replace it? I figured I could just remove it with a wire brush, wipe it down with some solvent and then paint over it. I dunno in the corner there it looks like it is lifting meaning that it is past the surface. So if you feel like that is all your need to do then why do you need a garage? Just get out an angle grinder or drill with a wire wheel and go to town and then coat it with rustoleum primer and paint afterward, white is to paint. 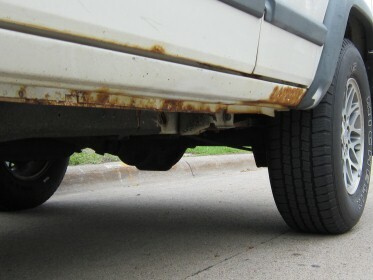 Quick Reply: Anyone in Minnesota have a garage and some experience with body rust?